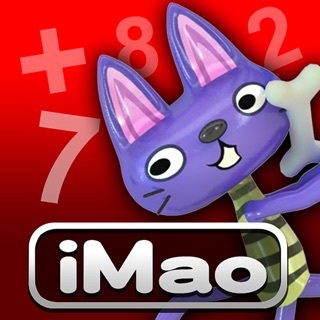 Try the most exciting and cute tric-trac game in iTune store!! Also know as Shut the Box, Canoga; it’s a classic English game originally made from a wooden toy. 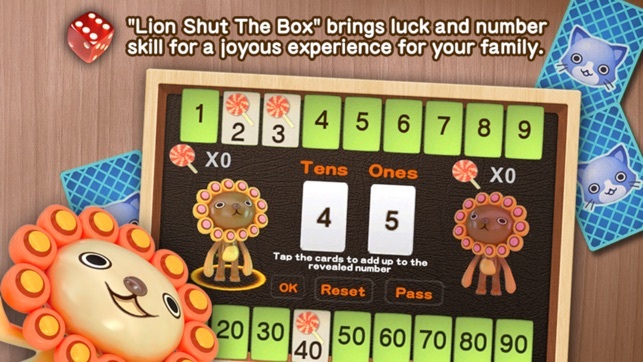 Lion STB is an educational math game that practices addition and strategic math skills through the power of chance. We’re so sure you can’t play it just once! Your goal is to cover as many cards as possible. Roll the dice and select any combination of number cards that adds up to the number you rolled. Pick up the poker cards and change into place value and cover any combination of lucky number card to win the best score in the advance mode. Learn the arithmetic of equation. Increase addition ability of 2 to 3 digit. Experience dice & number chance. Develop ability to think strategically. 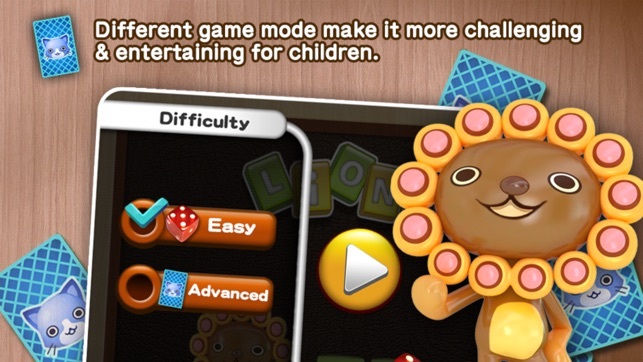 Randomized number & Star-rating System to give it high replay value while constantly challenging your child. It’s easy to pick up and trains basic math skills. 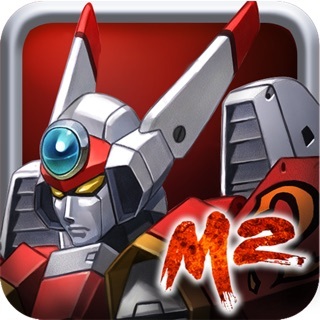 Two Player mode allows you play with your child, or with friends! 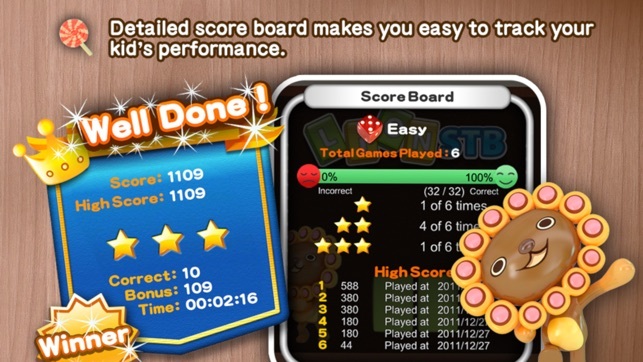 Detailed scoreboard makes you easy to track your kid’s performance. 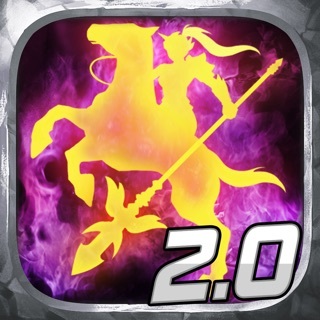 Playable on iPhone, iPod touch4 and iPad, which makes it a universal app. Your child will love the charming situation the game offers, and learn strategy and math at the same time. 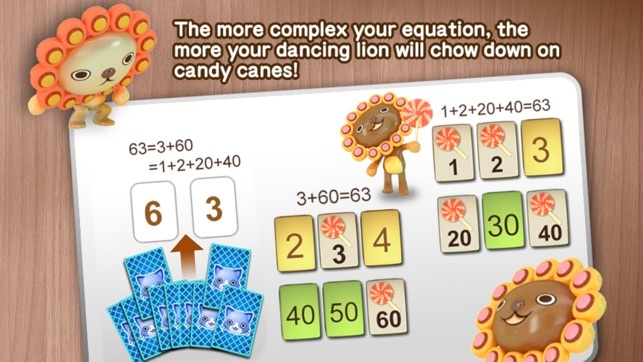 Keep in mind that the more complex your equation is, the more your dancing lion will chow down on candy canes! 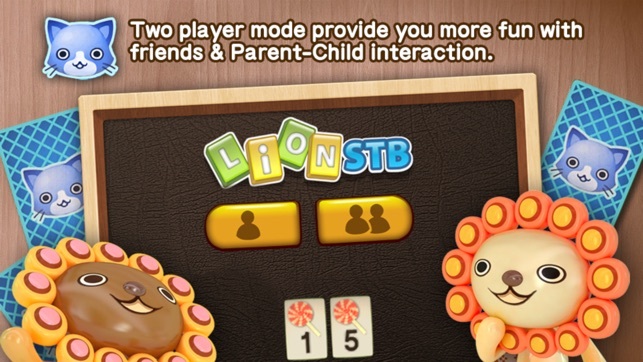 Download now and jump in and play some Tric-Trac with Lion STB! It’s definitely Tric-Trac AND treats for children of all ages! Have at it! You’ll love it as much as your kids (if not more). It's gets boring after a few minutes.